This is one of the North-Indian specialty dish. It is very popular dish in Punjab as well as in every Punjabi home "Amritsari Chole Recipe- white chickpeas curry made in Punjabi style." 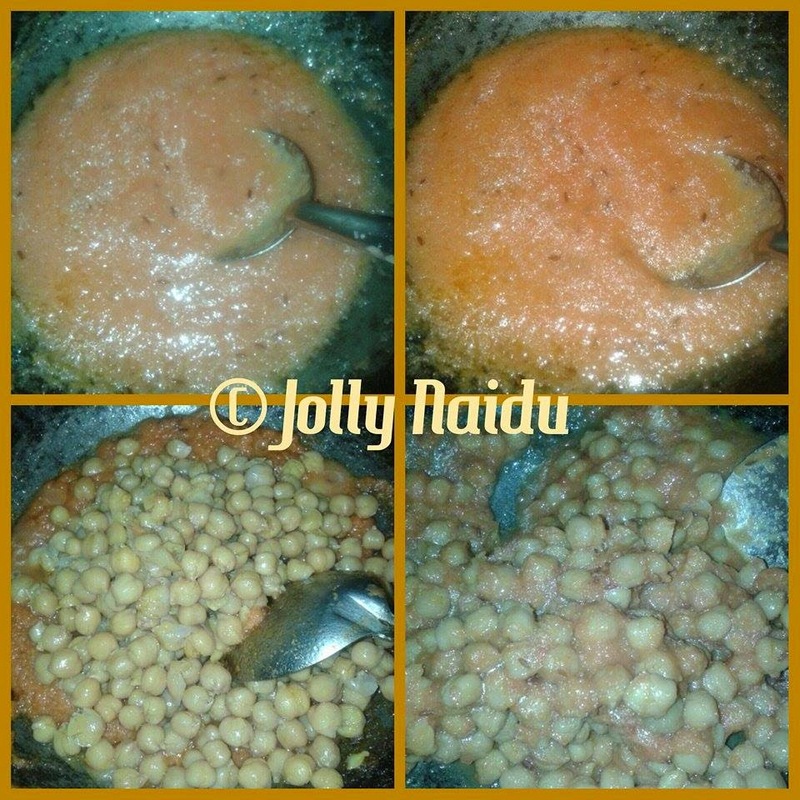 White Chole or chickpeas is prepared by cooking chickpeas with onion, tomato, ginger, garlic, other special herbs and spices. This recipe tastes similar to the chole one gets in the punjabi joints on the streets of Delhi. 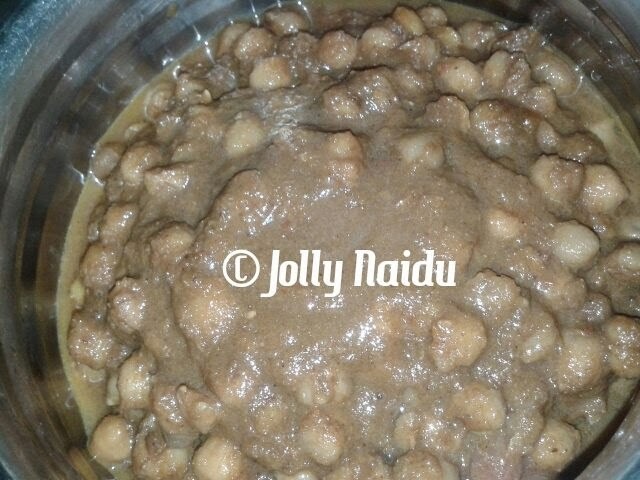 When I soaked some chole last night, I didn't want to make the same old chickpeas curry. I was in the mood to try out some new recipe. 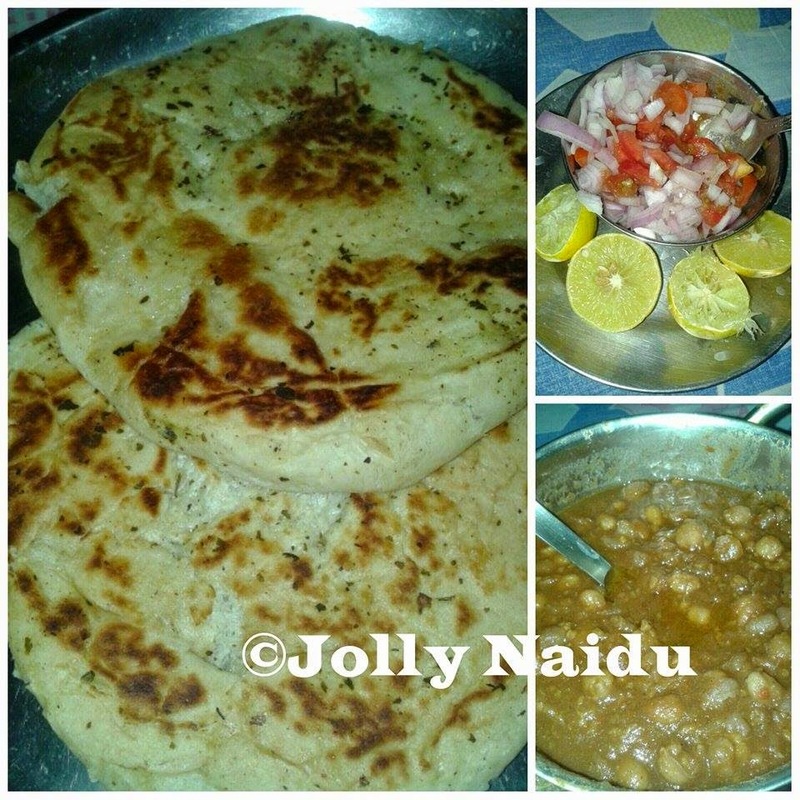 So today I prepared this Amritsari Chole at Lunch time with kulcha, so finally posting the amritsari chole recipe. Chickpeas are an excellent source of nutrients, iron, fiber and protein, it's overall a healthy ingredient. Jeera rice, Kulcha and Poori pair very well with this dish. 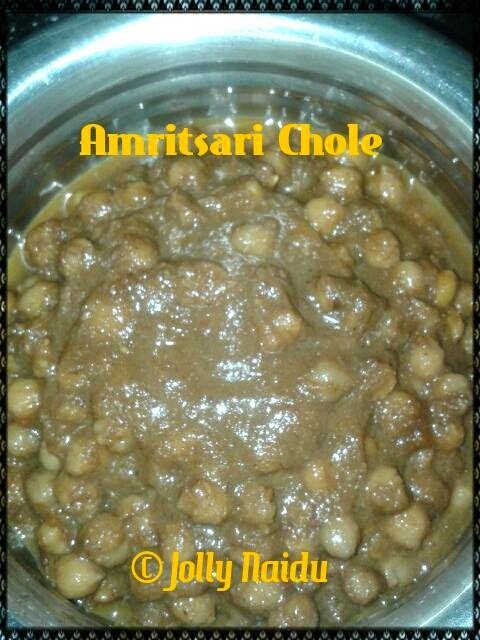 Here's the recipe of Amritsari Chole in Punjabi Style !! 1. 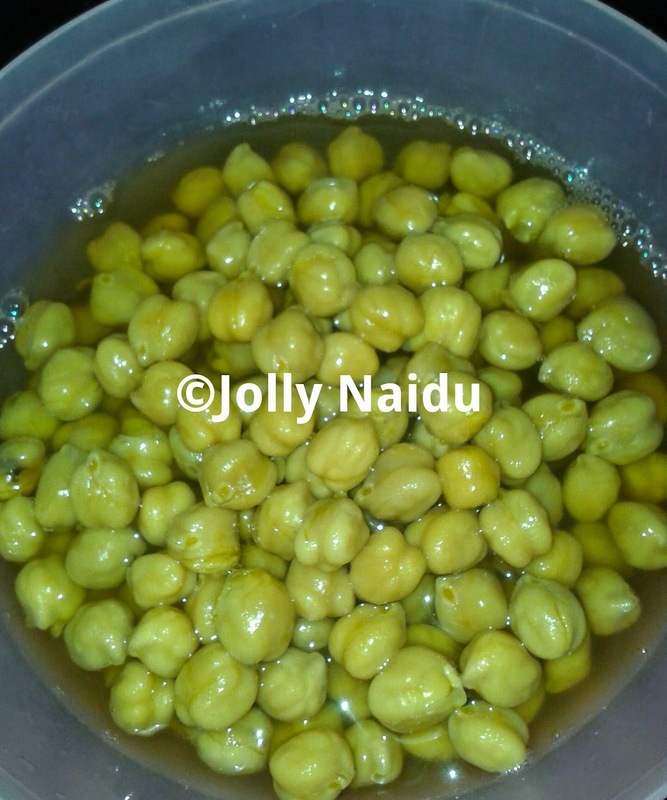 Soak the dried chickpeas overnight in water or for 8-9 hours. or You can cook the chickpeas without soaking also, that time you can use baking soda. 2. Next day, in a cooker add chickpeas, water, baking soda and salt. Pressure cook the chickpeas with until done. Give 1 whistle in a high flame, then reduce the flame in low mode and cook for 1/2 an hour more. 3. 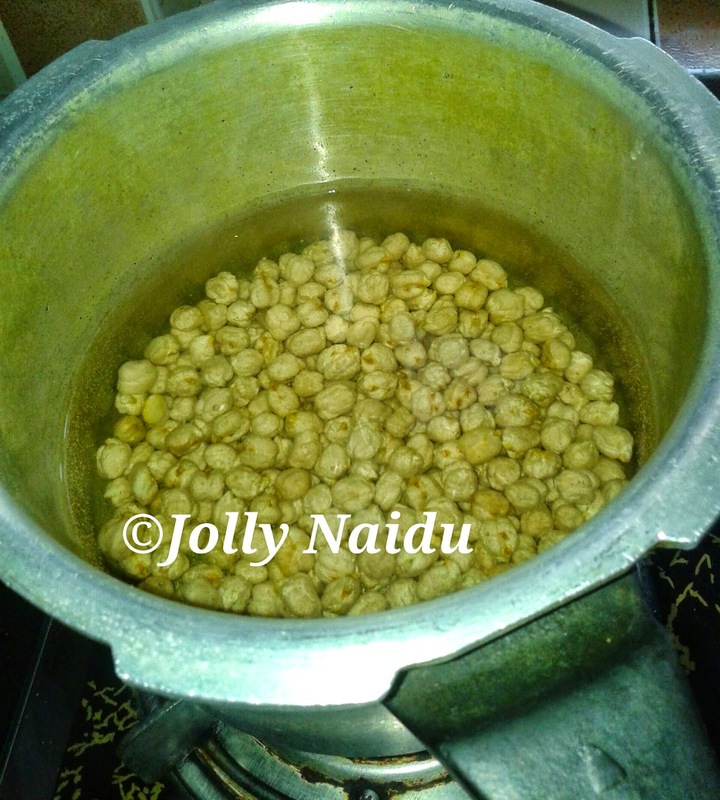 In another bowl, take boiled chickpeas from cooker and keep it aside. 4. 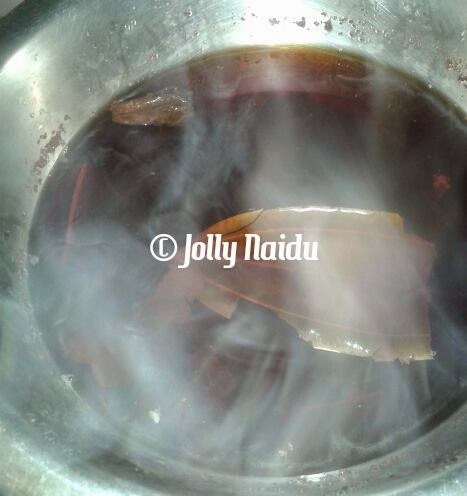 Tea Water - Take a pan, add 1 cup of water, adding the whole spices mentioned above. Give 1-2 boil in full flames. Switch off the flame and Keep it aside to cool. 5. 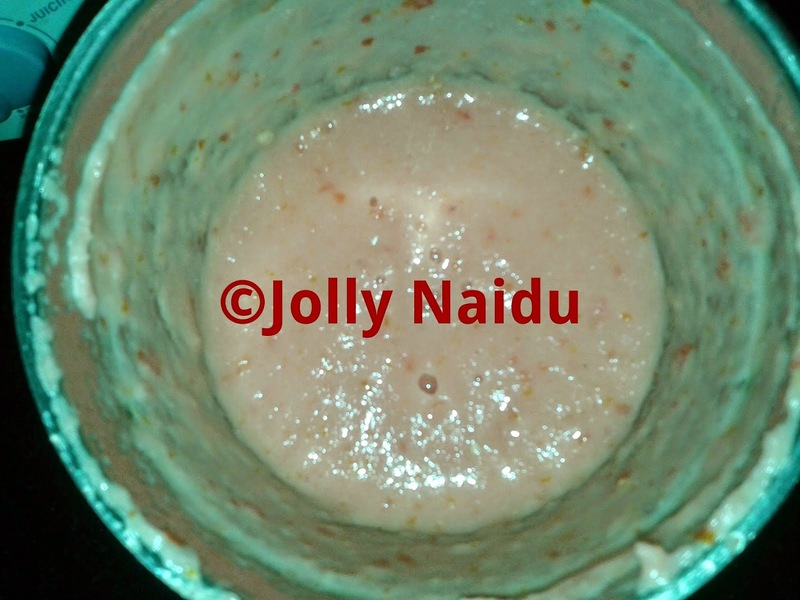 For making masala - Grind all onion, tomatoes, garlic cloves, ginger and green chillies(optional) in a mixer to make a thick paste, add 1 tbsp of water(if it is required). 6. In a pan or kadai, heat oil, add jeera, slit green chilies and fry for a minute. Now add above onion-tomato masala. Add all spices coriander powder, salt (adjust according to your taste, because we already used in cooked chole), jeera powder, red chilli powder and cook in a low flame till the masala is cooked. When masala is leaving oil in around, it means your masala is cooked. Add the cooked chickpeas and saute for 5-6 minutes. 7. Now add the above Tea Water in it and strained stock about 2.5 to 3 cups to the chickpeas, if the stock or water is less you can add some water. 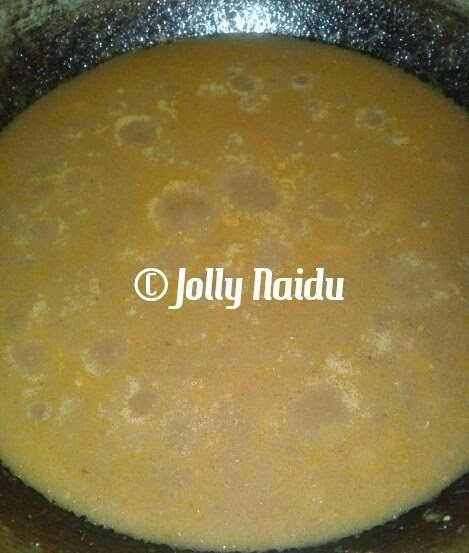 Keep the whole mixture on fire and simmer till the curry thickens a bit. Now add dry mango powder. 8. Check the salt and seasonings and add more if required. 9. Stir and serve Amritsari chole hot garnished with coriander leaves along with some bhatura, butter naan, pooris, Kulcha or even steamed basmati rice.